Australia is several months into campaigning for a seat on the United Nations Human Rights Council for the 2018-2020 term. – The bid is considered part of Australia’s recently remodelled foreign policy, which includes advocating human rights with a regional approach to empowering women, protecting freedom of speech and press, strong governance and human rights institutions. – Australia’s limited diplomatic network, selective criticism of human rights abusers, and controversial asylum seeker policy have been major points of domestic and global criticism. – The Human Rights Council itself is no stranger to criticism, with its alleged anti-Israel bias and election of nations with controversial human rights records. Since May, when Australian Foreign Minister Julie Bishop announced her nation’s bid for a seat on the UN Human Rights Council (UNHRC), Australia’s top diplomats have been on a mission to drum up support for its bid. Policymakers have touted the application as an integral part of Australia’s emerging foreign policy strategy. The Minister for International Development Concetta Fierravanti-Wells has described this strategy as one of empowering women, protecting fundamental freedoms and addressing global human rights concerns, good governance, the building of strong human rights institutions and indigenous rights. Ms Bishop and Special Envoy for Human Rights Phillip Ruddock have been leading a multi-national, multi-million-dollar campaign to edge out France and Spain to win one of the two vacant seats. However, with rumours the French bid is under-prepared and will be abandoned, Spain and Australia are all but certain to be elected by the UN General Assembly later this year. Despite the massive government effort for its campaign and the millions of dollars being spent on it, Australia’s bid—and the UNHRC itself—remain relatively unknown to the wider public. 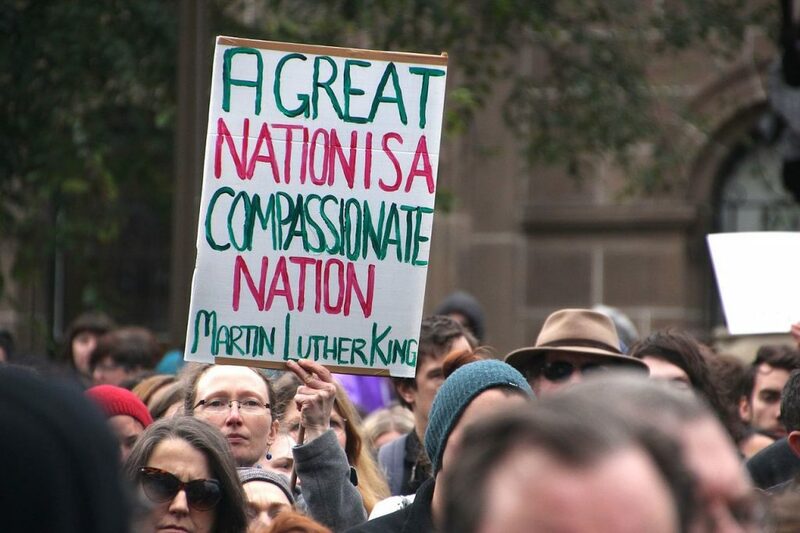 Australia’s candidacy aims to promote respect for human rights as a key foreign policy pillar. However, the massive problems of the UNHCR cannot be overlooked. Created in 2005 to replace the heavily criticised Commission for Human Rights, whose membership was composed of nations with questionable human rights records such as Pakistan, Zimbabwe and Sudan, the UNHCR inherited many of the failings faced by its predecessor. Its members today include Saudi Arabia, Venezuela, Egypt and Iraq (the latter two serving as current vice-presidents), all of which have been heavily criticised for their less-than-perfect human rights records. Yet due to the strong power of regional and political bloc groupings in the UNHRC—notably the Arab and African blocs—these concerns often remain under-addressed or otherwise ignored. 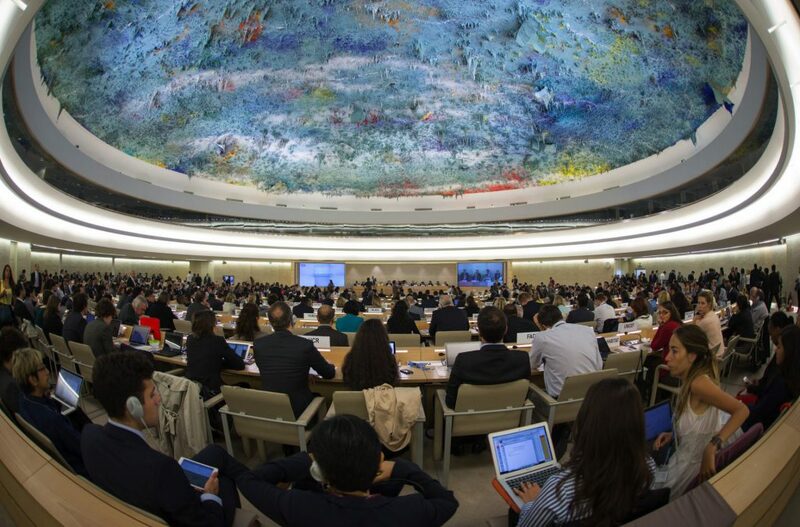 The UNHRC is also regularly accused of an anti-Israel bias with what is known as agenda item 7, which mandates discussions about Israeli abuses against Palestinians in the occupied Palestinian territories. This remains the only agenda item specifically targeted at a single nation; all other abuses are grouped into one single agenda item. As a result, many Western nations—including the US, UK, and Australia—regularly boycott debate on the agenda item and criticise the UNHRC for not only being biased but also ignoring other nations with poor human rights records. Despite this criticism, the powerful Arab and African political blocs have refused to remove it, using it as an opportunity to criticise Israel and, by extension, Western nations who support it. Australia’s diplomatic network is one of the smallest in the Western world, and as a result Canberra has had to work much harder than its rivals for the UNHCR position. Australia’s rivals for the UNHRC position, France and Spain, boast over 200 diplomatic missions around the world while Australia languishes with as few as 113. Australia’s successful bid for a seat on the UN Security Council in 2012 suffered the same problem; up against more diplomatically powerful rivals, the Gillard government injected AU$24 million into a global campaign to garner African and Caribbean support with packages of ‘technical assistance’. Now as then, diplomats have made multiple high-ranking visits to nations in the Caribbean, Scandinavia and the Balkans, nations and areas where Australia traditionally does not hold a strong diplomatic foothold (if any). However, with an already established presence in the Asia-Pacific region, Australia offers a candidacy and experience that differs from its European opponents—while France and Spain have repeatedly served on the UNHRC, Australia aims to offer a fresh approach to human rights, having not served on the council previously. Australia’s own human rights record has been the subject of global criticism by both non-governmental organisations and members of the UNHRC. 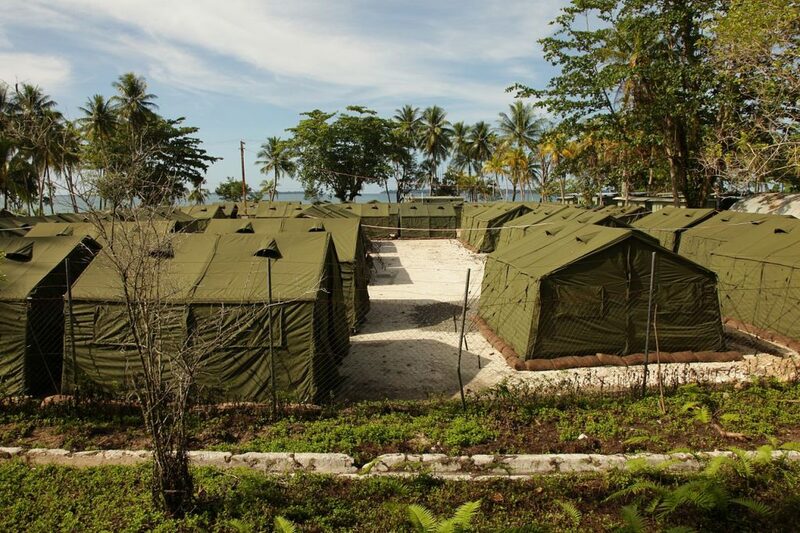 Its annual human rights review before the UNHRC in 2015 led to widespread denouncements for the nation’s mandatory offshore detention, turn-back policy and the treatment of asylum seekers. Recently, its lack of effort to address indigenous issues and increasing xenophobia in public politics has also been criticised. As a possible UNHRC member, Canberra would be under even more scrutiny to end its controversial asylum seeker policy. Australia has also been accused of being weak on prosecuting war crimes and upholding human rights in the region, often putting economic and political interests ahead of global humanitarian concern. Australia was alone among Western nations in opposing a 2014 UN resolution mandating an international investigation into war crimes in Sri Lanka, which has come under increasing scrutiny at the UN owing to the treatment of the Tamil community after its bloody civil war. Canberra’s avoidance of ‘megaphone diplomacy’ towards the persecution of Rohingya Muslims in Myanmar, where Australia holds significant political and diplomatic leverage, has also left it alone among its allies. Non-governmental and civil organisations have been critical of this laissez-faire approach to human rights, despite Canberra’s strong support for the protection of journalists and the promotion of minority rights. However, as a member of the UNHRC and with a history of upholding human rights, Australia would be expected to act more firmly against known human rights abusers, ahead of its own interests. Australia’s bid is ambitious and well intentioned, yet flawed. Canberra’s disregard of regional human rights records, namely Sri Lanka and Myanmar, as well as its own well-known human rights problems, leave it in a position for further scrutiny. Nonetheless, with its almost certain ascension to the UNHRC, Canberra has an opportunity to advocate for regional human rights issues with a fresh outlook and major structural change within the UNHRC, while simultaneously becoming more globally active. Although Australia would be among questionable company on the UNHRC, it has the chance to make a long-lasting impact and a positive global image in a world increasingly overlooking human rights abuses.